Dean of the Custodian of the Two Holy Mosques Institute for Hajj and Umrah Research at UQU from 21/12/1431 AH to 2/4/1435 AH. Dean of Student Affairs at UQU from 13/06/1430 AH to 21/12/1431 AH. Vice-Dean of the Custodian of the Two Holy Mosques Institute for Hajj and Umrah Research at UQU from 15/1/1430H to Rajab, 1430H. Head of the Environment and Health Research Department at the Custodian of the Two Holy Mosques Institute for Hajj and Umrah Research from 1426 AH to 15/1/1430 AH. Head of the Information and Scientific Services at the Custodian of the Two Holy Mosques Institute for Hajj and Umrah Research from 1424 AH to 1426 AH. Assistant Professor and Academic Researcher at the Environment and Health Research Department - the Custodian of the Two Holy Mosques Institute for Hajj and Umrah Research in 1426 AH. Teaching Assistant at the Environment and Health Research Department - the Custodian of the Two Holy Mosques Institute for Hajj and Umrah Research from 1417 AH to 1424 AH. Physics Teacher at Dar Al Aloom Secondary School in Makkah from 1416 AH – 1417 AH. Professor of Environmental Physics as of 1433 AH. Associate Professor of Environmental Physics as of 1429 AH. Assistant Professor of Environmental Physics as of 1424 AH. Ph.D. Degree in Environmental Physics from the University of Medical Sciences and Technology (UMST) in 1424 AH, and corresponding to 2003 AD for his study: (The photochemical reactions with the UV rays in central Manchester, Britain). Masters' Degree in Environmental Physics from the University of Medical Sciences and Technology (UMST) in 1420 AH, and corresponding to 1999 AD for his study: (Analyses and applications of the UV rays in Manchester, Britain). Teaching Assistant at the Environment and Health Research Department - the Custodian of the Two Holy Mosques Institute for Hajj and Umrah Research from 1417 AH. Member of Saudi Society for Environmental Science. Member of the Makkah History Center's Scientific Committee. Member of the scientific committee of the Hajj and the Two Holy Mosques' Encyclopedia. Deputy Chief of the Center of Research Excellence in Hajj and Omrah. 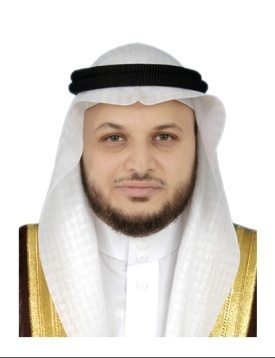 Head of the regulatory commission of the Hajj and Umrah Research Forum since 1432 AH until now. Member of the Hajj Central Committee. Member of the Hajj Committee in Madina. Member of the Saudi Project for Utilization of Hajj Meat. Member of Umm Al-Qura University (UQU) Council. Member of the UQU's Advisory Board. Member of the Supervisory Committee on courses at Ministry of Hajj. Shield Of Honor from the Custodian of the Two Holy Mosques Institute for Hajj and Umrah Research for the wining the award of the best research in the environmental physics research - the International Symposium of Optics, Informatics and Cyber-Technologies (USA). The Marquis Who is who in Science and Engineering - the best researcher award in the environmental physics. “The Marquis Who’s who in Science and Engineering 2008-2009”. Best student award from Al Falah School - Makkah – 1407 AH. Shield of Excellence from Makkah Education Directorate in 1407 AH. One of the top ten students in Makkah (Third Intermediate) – 1407 AH. First place award of the secondary school poetry competition – 1409 AH. Best student award for raising the Islamic awareness in 1411 AH. Attended school summer activities held by the education directorate and UQU from 1407 AH to 1414 AH. Attended secondary school camps from 1408 AH to 1415 AH. Electricity training course in 1411 AH. UQU scouting active member from 1411 AH to 1415 AH. Re-established and activated the audio and paper library at the UQU Scouting Club in 1412 AH. UQU Scouting Leader in 1413/1414 AH. UQU Scouting Leader at the 4th camp of the GCC's Universities, which was held at Umm Al-Qura University on 19-26/8/1414 AH. Headed the scouting guidelines committee during the 4th camp of the GCC's Universities, which was held at Umm Al-Qura University on 19-26/8/1414 AH. First Wood Badge Course from the UQU during the 4th camp of the GCC's Universities which was held at Umm Al-Qura University on 19-26/8/1414 AH. First Leader of UQU Scouting Camps in 1414/1415 AH. Wood Badge Preliminary Training Course organized by the UQU's scouting camps at the permanent camp in Makkah - 25/6-1/7/1415 AH. Head of UQU's student summer center in 1415 AH. Best student award for scouting in 1415 AH. Dar Al Aloom Secondary School Scouting Leader from 1416-1417 AH. Practical outdoors-based Wood Badge course that was held in Rijal Alma on 1-7/3/1418 AH. Wood Badge holder with excellent grade in 1418 AH. Member of the UQU's court of honor (1424-1426 AH) - Supervising all scouting activities. UQU scouts advisor in Makkah - 1424-1426 AH. Saudi Arabian Scouts Association Leader from 1425 AH to present. Associate leader in the Wood Badge first phase training courses organized by the UQU scouts in Makkah on 16-18/2/1425 AH. Head of scout unit leaders' first study made by Teachers College at the scouts camp in Makkah on 10-14/2/1426 AH. Associate leader in the main unit leaders' course organized by the UQU scouts in Makkah on 10-14/2/1426 AH. Supervisor of the UQU scouts delegation took part in the international scout camp in Jubail Industrial City - 1426 AH. Representative of Saudi Arabia to the World Scout Youth Forum which organized in Asia-Pacific Scout Region, Maldives on 18-25/3/1427 AH upon the royal approval no. MB/12663 dated 2/12/1426 AH. Organized a number of scout trips in Umm Al-Qura University from 1424 to 1431 AH. Active member of Saudi Student Unions at the UK and Ireland during the 18th and 19th rounds from 1998 to 2000. Cultural supervisor at the Muslim Community Center in Manchester form 2000 to 2003. Cultural supervisor of Saudi Student Club in Manchester, UK and in Ireland during the 21st round in 2001-2003. Diploma in Diploma in Neuro Linguistic Programming (NLP) - 17/3/2002. Active participant at the cultural events held for Saudi universities in Yemen on 8/12/2004. Attended the Culture Week, which was organized by Azerbaijan's Ministry of Culture on 10-16/6/1429 AH. Program of measuring levels of air pollutants to which pilgrims get exposed in Makkah and the holy places during Ramadan and the Hajj Season - 1427-1429 AH (Professor Mohamed Nasr Allah, Professor Alaa Sayed Amin and Dr. Abdul-Aziz bin Rashad Al-Srouji) the Custodian of the Two Holy Mosques Institute for Hajj and Umrah Research - UQU. Study of air quality, climate and noise in the Holy Mosque of Makkah during Ramadan, 1428 AH. (Professor Mohamed Nasr Allah, Dr. Abdul-Aziz bin Rashad Al-Srouji and Dr. Bassam Mashat) the Custodian of the Two Holy Mosques Institute for Hajj and Umrah Research - UQU. The level of noise on Jamarat bridge and tunnels and means to address it during 1428 AH hajj season Dr. Abdul-Aziz bin Rashad Al-Srouji, Dr. Mohamed Al Hazmi Dr. Talal Mandoura) the Custodian of the Two Holy Mosques Institute for Hajj and Umrah Research - UQU. Study of the air quality and noise at Mina camps and the factors affecting its level during Hajj season of 1428 AH. (Professor Mohamed Nasr Allah, Dr. Abdul-Aziz bin Rashad Al-Srouji and Dr. Bassam Mashat) the Custodian of the Two Holy Mosques Institute for Hajj and Umrah Research - UQU. Study of air quality, climate and noise in the Holy Mosque of Makkah during Ramadan, 1429 AH. Dr. Abdul-Aziz bin Rashad Al-Srouji). Study of concentration of dust inhaled by lungs in the Holy Mosque of Makkah during Ramadan, 1430 AH. Dr. Abdul-Aziz bin Rashad Al-Srouji). Supervisor of Physics Department students' graduation research in 1426 AH, titled "Environment: its definition, components and the effects of UV on it." Supervisor of Physics Department students' graduation research in 1426 AH, titled "environmental pollution and the infrared radiation." Supervisor of Mechanical Engineering Department students' graduation research in 1427 AH, titled "Study on noise pollution during Hajj in 1427 AH." Supervisor of Mechanical Engineering Department students' graduation research in 1428 AH, titled "The level of noise on Jamarat Bridge and tunnels of Mina during 1428H hajj season." Assistant for Dr. Taher Hussain to study a Masters' Degree thesis proposed by engineering student: Yaser Matbouli - Memorial University - the thesis was titled "Modeling air pollution in road tunnels - Case study on the Market's small tunnel." Said Munir, Turki M. Habeebullah, Abdulaziz R. Seroji, Safwat S. Gabr, Atif M.F. Mohammed, Essam A. Morsy, Quantifying temporal trends of atmospheric pollutants in Makkah (1997 - 2012). Atmospheric Environment. 77, 647 – 655, 2013. Munir, S., Habeebullah, T. M., Seroji, A. R., Morsy, E. A., Mohammed, A. M., Abu Saud, W., Esawee, A., and Awad, A., Modeling Particulate Matter Concentration in Makkah, Applying a Statistical Modeling Approach. An International Journal Published by Taiwan Association for Aerosol Research (TAAR) ISSN 1680-8584. 2012. Seroji, A. R., Assessment of PM10, CO and Noise levels at the central area of Makkah during Hajj season 1429H (2008). Arab Gulf Journal of Science Research, Arabian Gulf University, Manamah, Kingdom of Bahrain, Vol. 29, No. (1/2), 59 - 68, 2011. Seroji, A. R., Measurement of Noise Levels inside the building of the Holy Mosque during Ramadan Season 2007. Journal of King Abdulaziz University " Faculty of Metrology, Environment and Arid Land Agricultur" Vol. 22, No. 2, 229 - 250, 2011. Seroji, A. R., Study of Air Quality, Weather and Noise at halls of the Holy Mosque during Ramadan season in 1429H. Umm Al-Qura Univ. J. App. Sci. Vol. 2, No. 1, pp. 1-14, 2010. Seroji, A. R., Study of noise pollution at Mina tunnels and the new Al-Jamarat bridge during Hajj 1428H (2007). Bulletin Faculty of Science, Zagazig – Egypt, No. 32, 157 - 172, 2010. Seroji, A. R., Assessment of Noise Levels inside Mina Camping during the Hajj Season 1428H (2007). Arab Gulf Journal of Science Research, Arabian Gulf University, Manamah, Kingdom of Bahrain, Vol. 27, No. 4, 226 - 236, 2009. Seroji, A. R., Assessment of Noise Levels in Arafat Area during Hajj Season 2006. In "The Cairo 11th International Conference on Energy and Environment, in March 15-18, 2009", at Pyramiza Beach Resort, Sahl Hashess, Hurgada, Egypt, 2009. Seroji, A. R., Study of the sunglasses protection level for eyes from the harmful solar radiation. Bulletin Faculty of Science, Zagazig – Egypt, 2008. Seroji, A. R., The ground Ozone variations with UV radiation during winter and spring seasons in 2007 over Makkah. Journal of King Abdulaziz University “Science", Vol. 20, No. 4, September 2008. Nasralla, M. and Seroji, A. R., Particulates in the atmosphere of Makkah and Mina valley during Ramadan and Hajj seasons of 1424 and 1425H (2004 - 2005). Arab Gulf Journal of Science Research, Arabian Gulf University, Manamah, Kingdom of Bahrain, December 2008, Vol. 26, No. 4, 199-206, 2008. Nasralla, M. and Seroji, A. R., Primary Pollutants and Potential Photochemical Smog Formation in Makkah Atmosphere. Arab Gulf Journal of Science Research, Arabian Gulf University, Manamah, Kingdom of Bahrain, December 2007, Vol. 25, No. 4, 153-161, 2007. Seroji, A. R., Study of the Incident UV Irradiance on Muna Area and its Relation with the Ground Level NOx and O3 Concentrations during Hajj Time. Umm Al-Qura University Journal of Science – Medicine – Engineering, Vol. 19, No. 2, 1428/2007. Seroji, A., Webb, A., and Coe, H., Comparisons between UV irradiances and derived total ozone from the GUV-541 radiometer with measurements from Brewer and Dobson spectrophotometers. In “The International Symposium of Optics, Informatics and Cyber-Technologies (OIC 2006)", Orlando, Florida, USA, 2006. Seroji A.R., Average Surface Albedo Measurements in the UV, IR and TSR on the Holy Mosque and Places in Makkah, Saudi Arabia. In "Conference: Ultraviolet Ground- and Space-based Measurements, Models, and Effects V" Symposium: AM05 Optics & Photonics 2005, San Diego, California, USA. 2005. Seroji A.R., Webb A.R., Coe H., Monks P.S., Rickard A.R., Derivation and validation of photolysis rates of O-3, NO2, and CH2O from a GUV-541 radiometer. Journal of Geophysical Research-Atmospheres 109 (D21): Art. No. D21307 Nov 6, 2004. Seroji, A., Webb, A., and Coe, H., A new method of derivation of photolysis rate from a moderate bandwidth filter radiometer. In “Air pollution X conference” (C. Brebbia and J. Martin-Duque, eds. ), pp. 517-527. WIT Press 2002, Segovia, Spain. 2002.